New York, NY (Top40 Charts) Multiple GRAMMY Award winner Jason Mraz has today released an acoustic version of his latest single "Have It All." 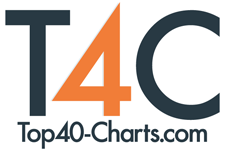 The rework arrives as the original version flies up the radio charts across multiple formats - cracking the Top 20 at Hot AC less than a month after its release. The acoustic version also comes on the heels of the announcement that Mraz will play the TODAY Show's Summer Concert Series on Friday, August 10th. Broadcast live from the TODAY Show plaza, the concert will feature "Have It All" alongside a sampling of Mraz's other greatest hits. "Have It All" was originally conceived after Mraz received and translated a blessing from a Buddhist monk during a moving visit to Myanmar in 2012. Current events compelled him to bring the song fully to life at last. Released last month alongside the original track, the official music video (WATCH) has since amassed nearly 3 million views. Directed by longtime collaborator Darren Doane ("I'm Yours," "Make It Mine," "Lucky"), the visual features Mraz strolling the streets of his hometown Richmond, VA, joined by students from the School of the Performing Arts in the Richmond Community (SPARC), as well as students from the Richmond area Turnaround Arts schools, plus actors Katie Grober (Waitress) and Greg Grunberg (Alias, Heroes). "Have It All" heralds Mraz's upcoming North American summer tour, "GOOD VIBES." The tour - which sees Mraz joined by his SuperBand and featuring special guest Brett Dennen - begins Wednesday, July 25th with a sold out show in Grand Rapids, MI at Meijer Gardens, and continues through early September (see attached itinerary). For complete details, and ticket information, please visit jasonmraz.com. On June 3rd, Mraz will perform at the School of the Performing Arts in the Richmond Community's 6th annual SPARC Presents LIVE ART: LOVE, of which Mraz is not only a performer, but also a sponsor and program advisor. The award-winning mega-concert pairs nationally, internationally, and regionally recognized recording artists with SPARC's LIVE ART students. This year's event will see Mraz joined by a truly remarkable line-up that includes Josh Groban, Sara Bareilles, Michael McDonald, Rayvon Owen, René Marie, Raining Jane, Robbie Schaefer, Chris Caswell, and many other local artists, plus a cast of 200 student performers. 15 Santa Barbara, CA Santa Barbara Bowl.